I hope you have had a wonderful snowy Sunday! 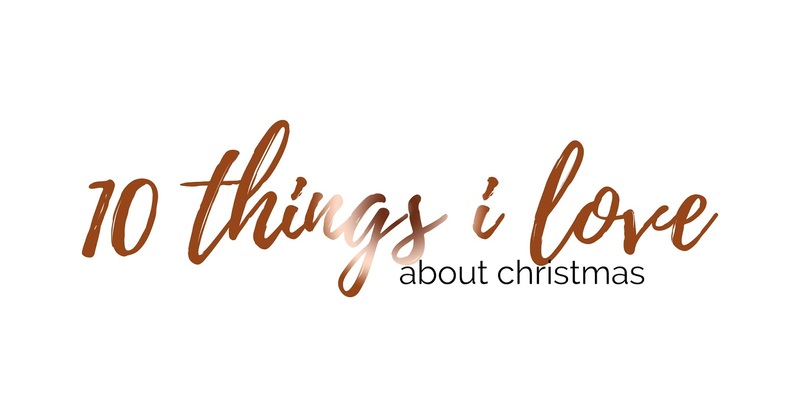 Now that it has snowed so much in Hertfordshire, I think today is the perfect day to share my 10 things I love about Christmas. There's so much I love about Christmas, and although I don't go to town with Christmas decorations and outside lights like many people, I do absolutely fricking love the build up to Christmas and generally counting down every single day till Christmas here. Let's not even get me started on buying presents for my loved ones (and myself). 1. Buying Presents for EVERYONE. Buying things is my biggest obsession; I would 100% say I am a shopaholic and I have no shame in that; so when it comes to thinking of things that someone will love, this brings me A LOT of joy. I tend to wrap my presents as soon as I have received the present in the post or once I have bought it in store. However, I will then go out and buy MORE, because I want to wrap more presents in December. 3. Putting up the Christmas tree. Putting up the Christmas tree 100% means that Christmas is coming and you can start wearing the jumpers, playing music and watching Christmas films without having people tell you that you're crazy and I love this. 4. Turning on the Christmas lights every evening. I absolutely love feeling cosy and there is something even cosier about getting into bed, or getting cosy on the sofa after you have turned on the Christmas lights on the tree and wherever else you have put them; it brings me too much happiness with a large hot chocolate in my hand. Where do I even begin with Christmas songs; there are hundreds and I love them all. I love them all so much, I fill my iPod up with them to listen to every single day throughout December and most of the time I will wake up with a Christmas song stuck in my head. The Polar Express is a film I have grown up with, watching every single Christmas, multiple times throughout December and I think it will always a be a winner even until I'm old. I am a sucker for cosying up anywhere in a dressing gown and fluffy socks with a huge hot chocolate in my hand and there's no better time to do it than at Christmas. My favourite thing to do closer to Christmas is the food shop; I have absolutely no idea why because it's bloody manic, but I LOVE it. It's so fun! 9. The happiness it brings. For most people, Christmas brings a lot of happiness and there's nothing I love more than seeing everyone happy around this time of year. 10. Watching Christmas films, every night. Who doesn't love binge watching every Christmas film on the run up to Christmas? I know I do! What's your favourite thing to do at Christmas?